When Madina Khsrawy was 13, she saw some boys skateboarding and asked them where she could learn. It’s not an unusual pastime — unless you live in Afghanistan, and you’re a girl. They took her to a program called Skateistan, a nonprofit that teaches skateboarding to children in Afghanistan to segue into an education program. It’s still a challenge to skateboard outside the Skateistan facility in Kabul. Khsrawy said when she did venture out on the street, “people would look at me and were shocked.” They would ask her why — as a girl — she had a skateboard. At Skateistan, “I feel I am free and I can do sports here, but not on the outside,” Khsrawy said. That’s the idea, said Skateistan founder and executive director Oliver Percovich: providing a safe place where girls and boys can interact and learn new skills. The program provides additional education for “street children,” or those who sell items on the street such as chewing gum and cigarettes and don’t get to go to school. The condensed curriculum helps catch them up to their peers. 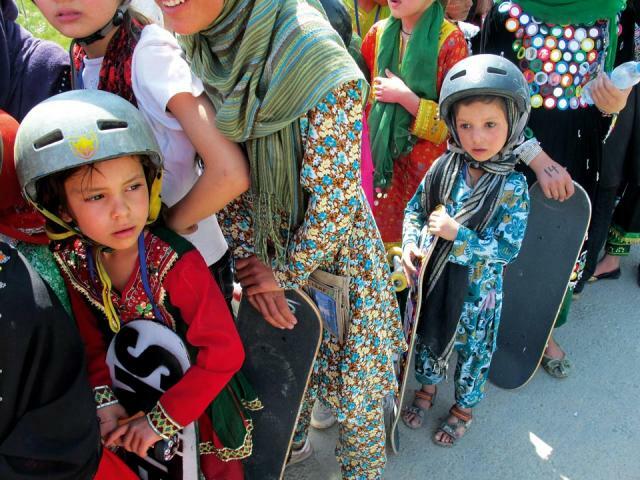 About 1,200 students ages 5-17 attend the Skateistan program per week in Afghanistan’s two sites, in the capital Kabul and the northern city of Mazar-i-Sharif. Skateistan has opened skate parks in two other places: Phnom Penh, Cambodia, and Johannesburg, South Africa, where another 300 students go. 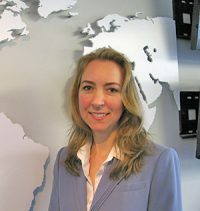 Since the PBS NewsHour profiled the group in 2011, Skateistan had branched out into two more countries. About 47 percent of the Skateistan students in Afghanistan are female — quite an undertaking in a country where girls usually don’t play sports, let alone skateboard. 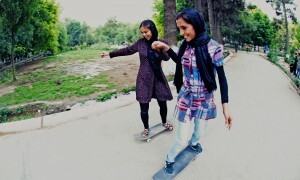 The female students require more of Skateistan’s resources, Percovich said, because organizers must pick up and drop off the girls at their homes. The organizers also conduct home visits to ensure their families’ support. “That’s really important in a society where girls going to school is a very special thing, and doing a sport is not the norm at all,” he said. But it’s worth it. The group pledged to stay in Afghanistan for 10 years and adapted to local needs. Several years later, it turned over the Kabul facility to be run by Afghans, which makes it more sustainable, Percovich said. While some nonprofits take a while to expand, Skateistan grew pretty quickly, he continued, and is now in what he describes as a holding pattern. The organization eventually will take on more projects “where we can have the greatest impact and where there’s the biggest need,” he said. Khsrawy, meanwhile, is now 16 years old and a youth leader with Skateistan. She said she never expected to be recruited for that role.